Growing up, I was fascinated by Chia Pets. These terracotta figurines, in which chia seeds are sprouted and grown to resemble fur, were the star of many Saturday morning cartoon commercials. 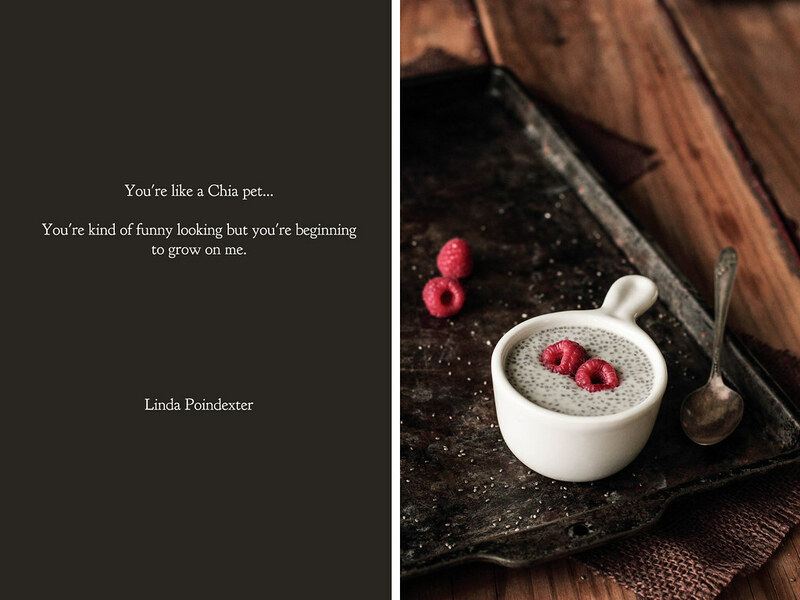 The catchphrase "Ch-ch-ch-chia!" quickly became ingrained in my mind as well as my toddler sister, who spouted the slogan in her giggly high-pitched voice. After the initial craze died down, my grandmother unexpectedly bought me a Chia Pet for Christmas. It was an Elmer Fudd, with grooves to grow chia hair, which I found deeply ironic since the cartoon character is completely bald. Nevertheless, I was excited about my new toy. I followed the necessary steps, spread the seeds around his head and waited. Nothing happened. My chia seeds, no matter how much I willed them, simply would not sprout. My Elmer Fudd was determined to stay true to character. Many years later, while wandering through the food section of a department store, I stumbled across a bag of chia seeds. As this was before the health food trend set in, the thought of eating the seeds instead of growing them on pottery struck me as odd. I wanted to buy the bag simply out of curiosity, but the seeds never made it into my cart. I often thought of them afterwards, wishing they had made that journey, simultaneously wondering how I would have incorporated them into my cooking. That passing concern became a real question when a bag of chia seeds finally found itself on my kitchen counter last weekend. After doing a bit of recipe searching, I settled on making a simple pudding. 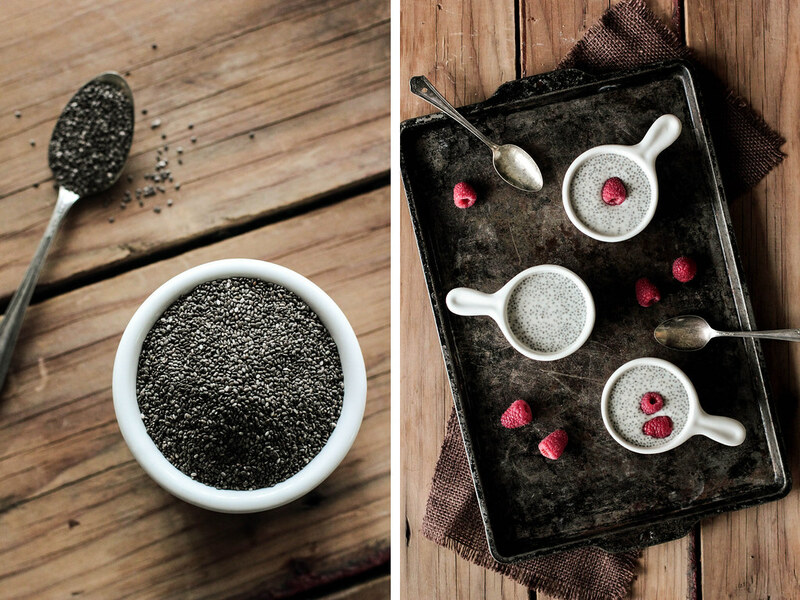 Chia seeds have several unique properties which set them apart. 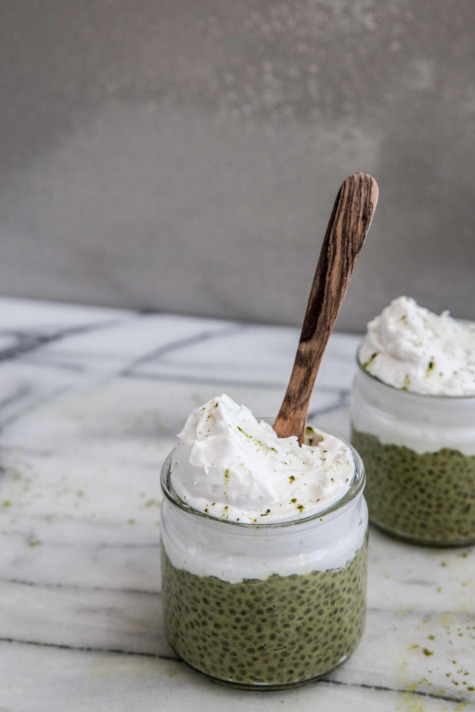 Firstly, chia seeds do not seem to have a flavor, not even a subtle one, which makes them easy to mix into other foods, such as smoothies or morning cereals. They are also packed with nutrition, including high levels of fiber and protein, which makes them a healthy choice and can help keep you feeling full longer. 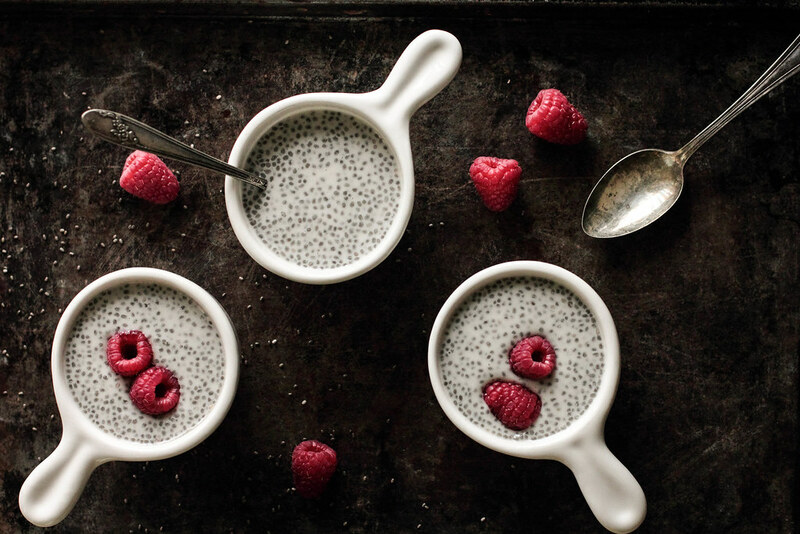 Lastly, and most unusual, chia seeds can absorb ten times their weight (or more) in water. When the seeds are mixed into a liquid, they will absorb it, creating a gel. I used this last characteristic to my advantage. To make this pudding, I mixed the seeds into milk and simply let the mixture set. There is no heat, no additional thickening agents, or cooking required. In many ways, this may be one of the easiest dishes I have ever created. 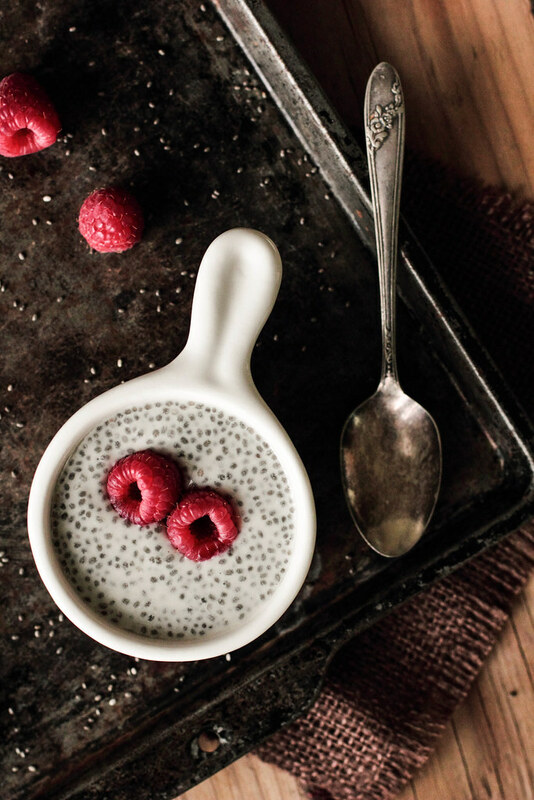 Vanilla Chia Pudding has a bright vanilla flavor with a texture resembling a tapioca or rice pudding. 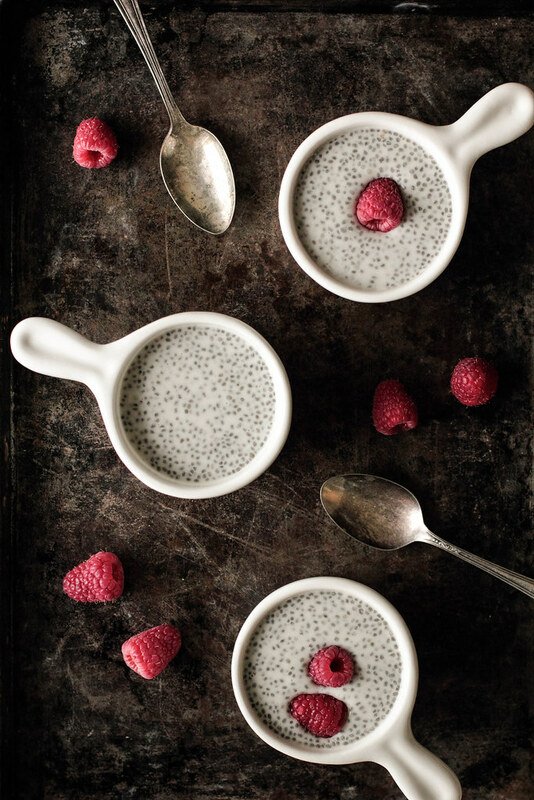 Chia seeds are simply mixed into your favorite milk and left overnight to gel—the process couldn't be any simpler. This pudding is healthy enough for a morning breakfast and sinful enough for an after dinner dessert. Serve with fresh berries for color and a swirl of maple syrup for a sweet taste. Chia seeds are available in the health food section of the grocery store (or in specialty health food stores).